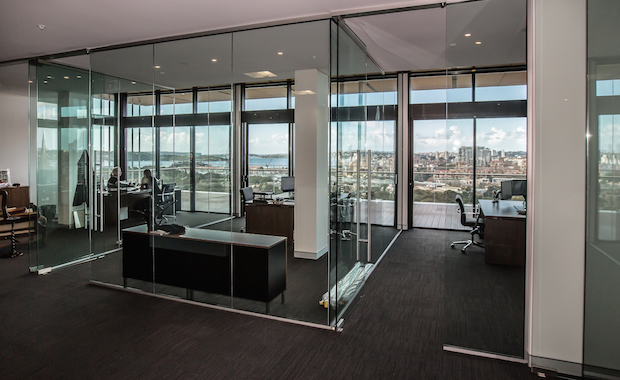 The Owners Corporation of Windeyer Chambers at Sydney’s 225 Macquarie Street has just completed a 15-month refurbishment that has seen the transformation of its rooftop plant room into a valuable commercial suite. Strata Republic, and the Owners Corporation identified that the buildings rooftop plant room could be relocated and the 312sqm space converted into a valuable office space with front and rear terraces. CBRE, which sold the space for $3.1 million to a legal firm. The financial windfall enabled the façade of the heritage-listed building to be revitalised, essential services upgraded, and one of the three lifts extended to the top floor. Chair of the Windeyer Chambers Owners Corporation Debbie George described the redevelopment as a ‘common sense approach to common property’. “Our building needed several million dollars’ worth of upgrades so we sought a solution that would minimise the cost to lot owners,” Ms George said. “The result has been a win for us and a win for the new occupants. Our building now looks better, runs more efficiently, has increased in value, and we have another lot owner to help pay the ongoing Strata costs. Strata Republic’s managing director Wade McKenzie said the reality of the converted space had turned out better than imagined. Mr McKenzie founded Strata Republic a decade ago and among its clients are prominent property developers and international real estate organisations. Strata Republic also deals with Owners Corporations of high-end strata schemes in Sydney’s CBD, the Eastern Suburbs, the Inner West and the Lower North Shore.